Last year marked the 30th anniversary of the Falklands War. Peter Cooper was at the annual Air Day at RNAS Yeovilton to join the 30th anniversary commemoration. Last year’s Farnborough International air-show was one of the wettest ever. Peter Cooper braved the miserable weather and dashed out from cover between downpours to capture the Farnborough action. With a growing number of Part 115 operations gradually making their presence felt, Rob Neil spoke to the ASMS team about their part in helping Adventure Aviation operators get their businesses up and running. 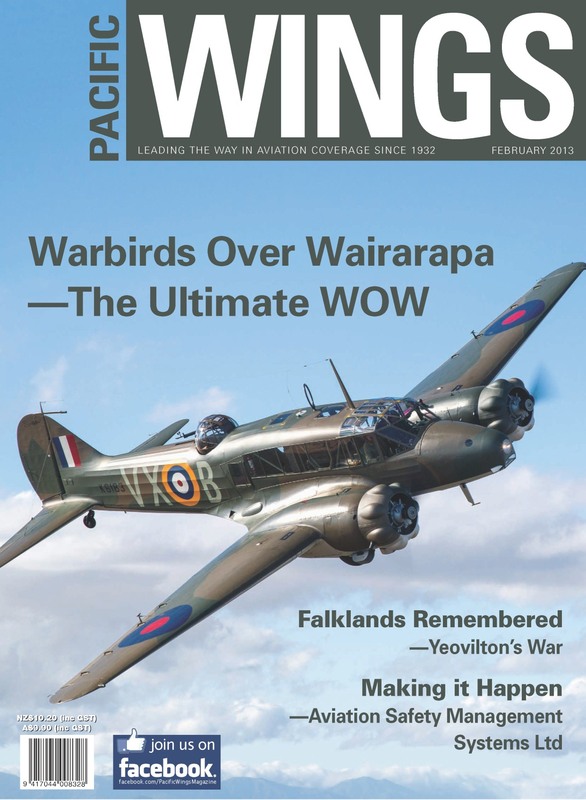 Paul Sortehaug continues his series of articles on New Zealand’s air aces with the story of Captain John Davis Canning.